You are here: Home › #oklaed › What Does #Oklaed Mean to You? Take a few minutes and think about this. 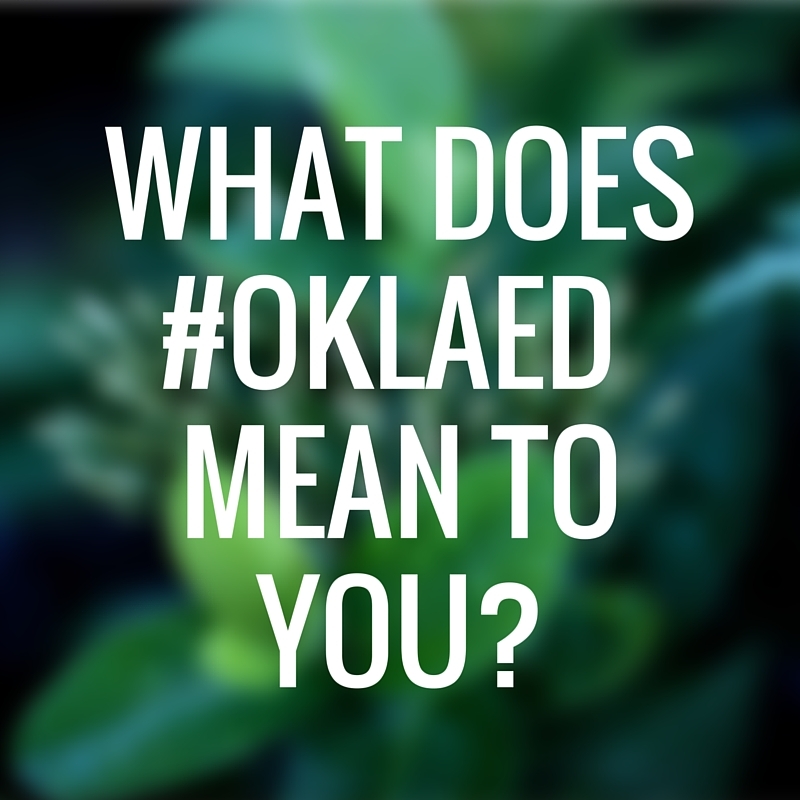 What does #Oklaed mean to you? How has it impacted you as a teacher/administrator/parent? I would be great if you would leave a quick note in the comments. Let others know what your perceptions are. Did you find inspiration? Get some lesson ideas? Make connections that have become invaluable? The conversation that happens on Twitter every Sunday gets me buzzing on the inside. Ideas start flowing. Things to consider cram themselves into the hive that is my brain during these hour long discussions. Many Sundays the conversations continue past my bedtime. Makes for a short night on occasion – and that is fine with me. The relationships that are developing are totally worth it. If you have not tried an #oklaed chat – please do. We welcome anyone from anywhere. Moderators change each week – the topics are wide ranging. Please join us Sunday evening at 8:00pm CST. Why? Since I have become active in #oklaed, I have met people who inspire me. People who encourage me. People who have had such an impact. 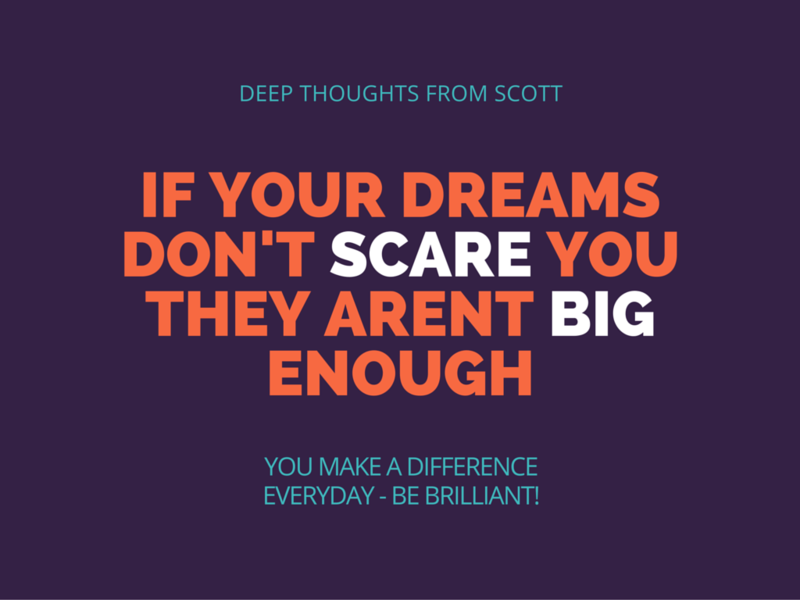 #Oklaed has given me the courage to chase crazy scary dreams. #Oklaed – you do make a difference. Every day. I would love for you to share a picture and a quick sum up of what #oklaed means to you. Leave them in the comments below or email me. I would like to use this as part of my research – email me and we will talk. Any pictures and summaries I use will remain anonymous, I won’t share anything without permission. Share through Twitter with #oklaed. 9 Responses to "What Does #Oklaed Mean to You?" Absolutely, the number one reason I’m so happy to be associated with #oklaed is the knowledge, commitment, and engagement its participants have AND share. I’m so happy to have them in my PLN!!! And the Sunday night Twitter chats are not to be missed. BUT don’t ‘leave’ the chat there… The Considerations of those Twitter chat recaps raise the level of Effective Learning understanding for subsequent use!!! To me, #oklaed is a place to get ideas when I need them and support when I vent. Occasionally, it’s even the group that provides the filter I lack (yeah, I heard it too). The Sunday night chats have become inclusive of more perspectives, and the EdCamps are a breeding ground for motivation. In short, #oklaed lets me know that either (a) I’m not crazy, or (b) I’m not alone. Maybe both.